UPPCL JE Admit Card 2019 (यूपीपीसीएल जेई प्रवेश पत्र- यूपी जूनियर अभियंता परीक्षा की तारीख): This notification is for the UPPCL Junior Engineer Admit Card and exam date announcement of the latest UPPCL recruitment. The UPPCL, Uttar Pradesh Power Corporation Limited has released a notification for the Junior Engineer vacancy. The interested and eligible candidates had to submit their application forms to register themselves before the due date. The candidates are informed that the exam for the vacancy will be conducted soon. 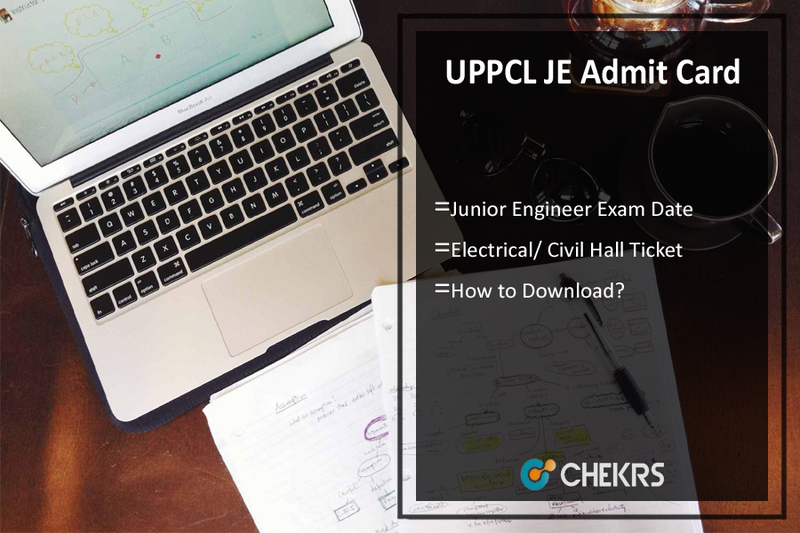 Hence the UPPCL JE Electrical Admit Card and civil will be available shortly to all. Further information for the exam such as how to download the admit card, what are UPPCL JE Exam Dates, etc are given below. According to the released notification, there were various vacant Junior Engineer posts in the department. The candidates from the relevant educational background had to submit their application forms. Now the registration process has ended and the UPPCL JE Electrical Hall Ticket & Exam Date are likely to be released. In order to appear in these exams, the candidates need to get their UPPCL Junior Engineer Exam Admit Card as soon as possible. The admit cards will be available online only. We will also provide a direct link for UPPCL JE Admit Card Download 2019 which will be activated in a short while. The exam dates can be checked below. Click on the button of uppcl.org to visit the main web pages. Click on the link to vacancy/ results from the services menu. Search and click on the link of ADVT/VSA/2019/JE-DEPTT. FOR THE POST OF “JUNIOR ENGINEER (DEPARTMENTAL). Click on the link to Download Admit card from the new webpage opened. Enter the registration number and password to access the admit card. Click on download / save button to save the file in the admit card. The candidates who have applied for the posts of Electrical and Civil Engineer are informed that the exam for both the posts will be conducted on different dates. The UPPCL Junior Engineer Exam Dates are awaited to be released in a short while. The selection process will comprise of the written exam after which the qualifying candidates will be eligible for further processing. If in case any candidate misses his/her UPPCL JE Admit Card 2019 they can re-download it by following above-mentioned steps. All candidates are instructed to keep checking jobs.chekrs.com for much more updates on the vacancy. You can leave your queries in the comment section below for any guidance related to government jobs.